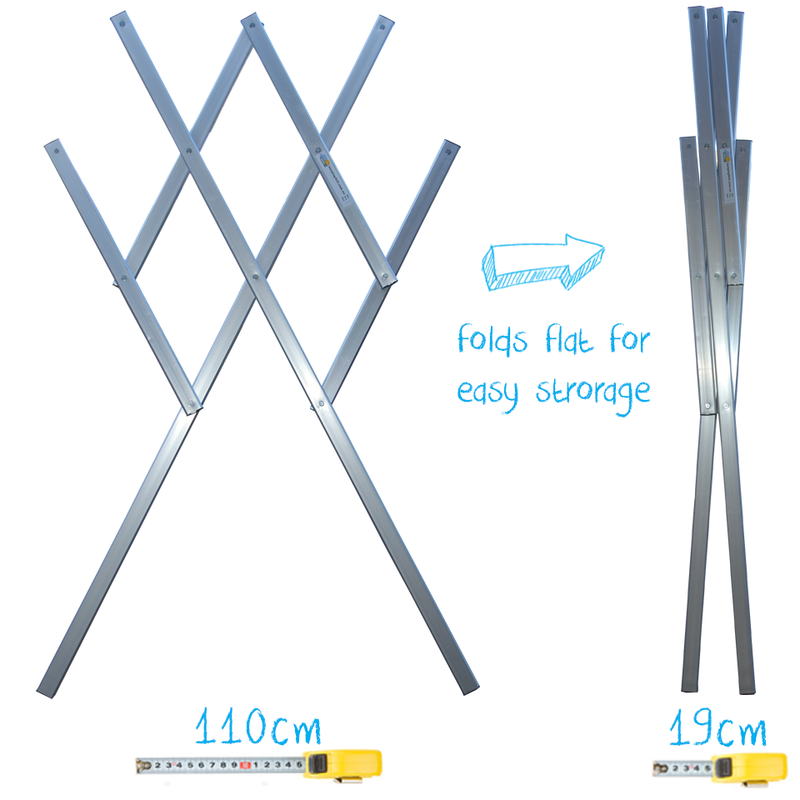 The Maxi clothes airer, as the name suggests is the biggest of the four clothes airers in the Hanging Stuff range. 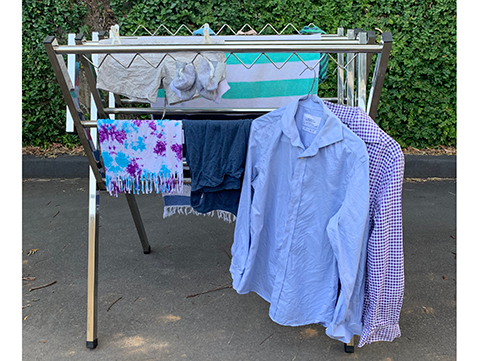 Why worry about a permanent clothes line when you can use a lightweight, portable clothes airer laundry dryer. This model would suit large families with its hanging capacity, and just the thing for drying heavier items such as wetsuits and snowsuits. With this clothes airer, towels and sheets are just not a problem. Hooks - loop it, hook it, hang it, dry it! 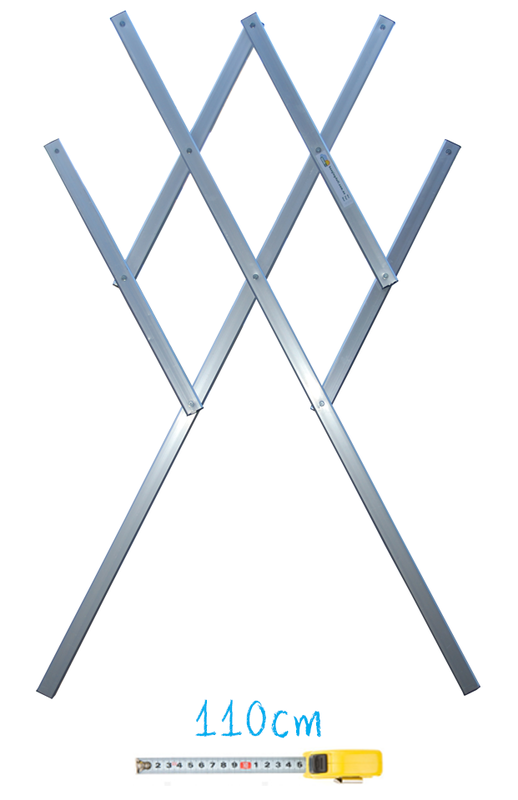 Versatile hooks to hang and dry various items. 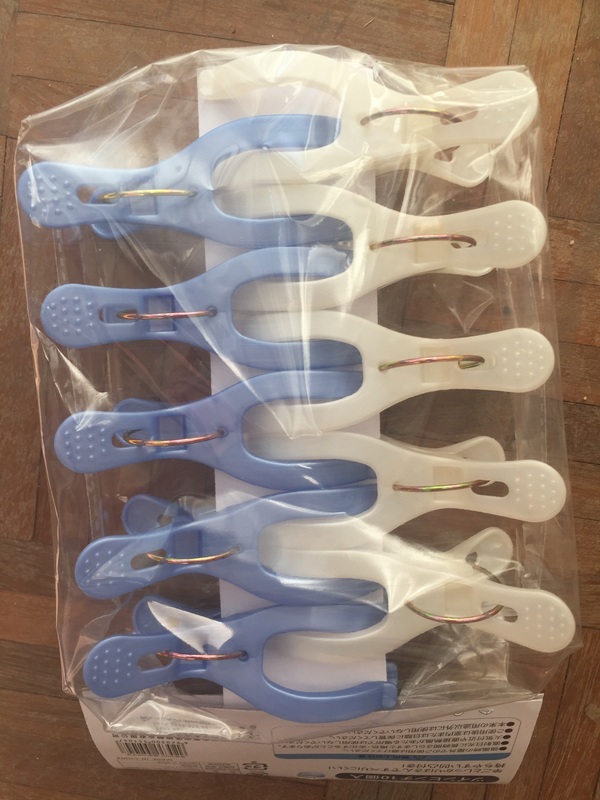 The hooks on the clothes airer can be turned up or down. 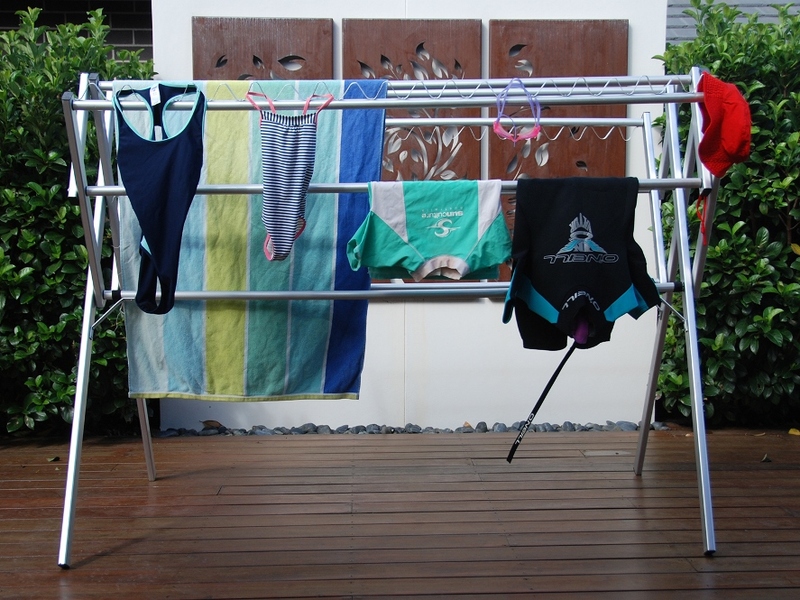 The drying rails on Hanging Stuff drying rack are spaced further apart than traditional clothes airers and washing lines to allow for maximum airflow. This enables clothes to dry much faster, even on cold, wet days. The rail placement is unique to Hanging Stuff clothes airers. Normal clothes dryers or drying racks have them spaced very close together preventing airflow and slowing drying times. 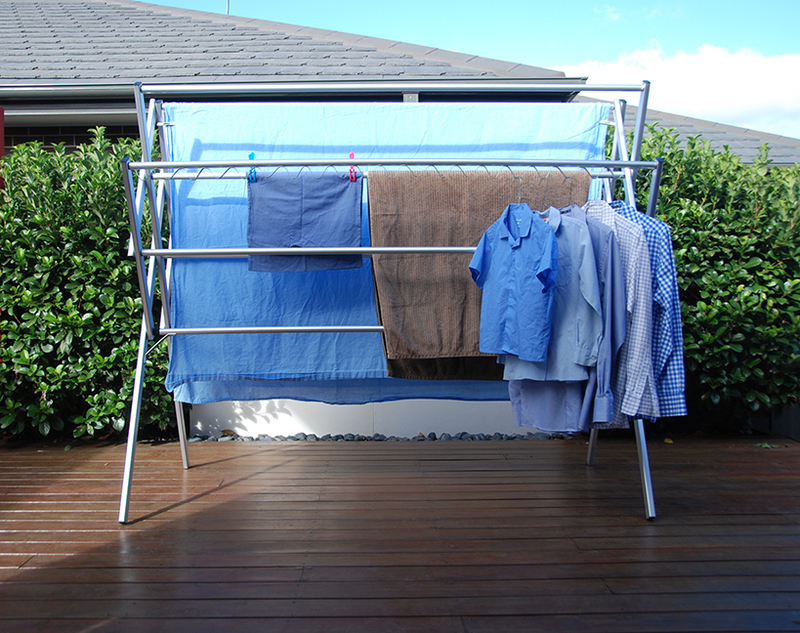 On wet days, the fast drying time means you have the clothes drying indoors for less time. I'm loving my new Hanging Stuff clothes airer. As a busy working Mum of 3 I have lots of washing & not much time. My kids are now helping out with putting the washing out & bringing it in as they can reach all the sections with ease. Thanks Hanging Stuff for making a huge chore something my kids can be involved with. Love it, Love it, Love it. 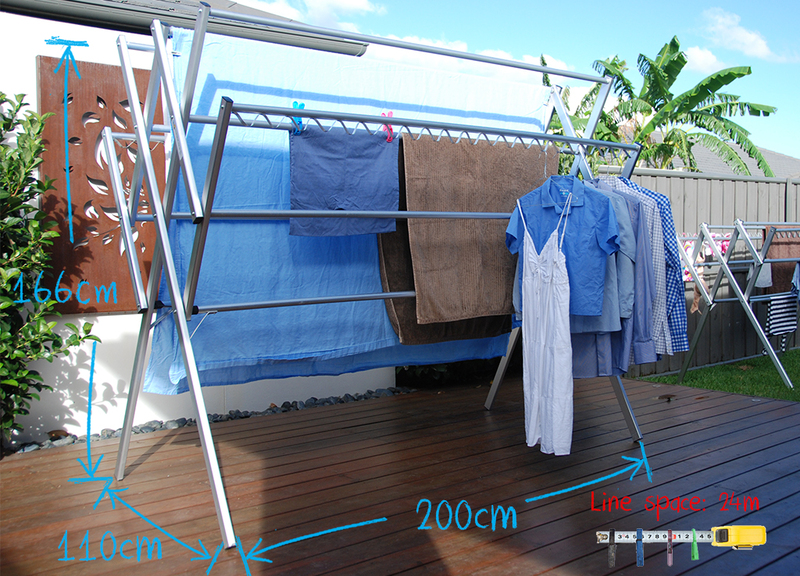 The clothes airer fits one full load of washing for my family of six.